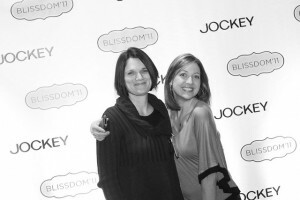 Has it really been a week since I left Nashville and headed back home from Blissdom? I’m so glad that I decided to go this year and I have even more stories and moments to share with you. Why do I want to share my conference experiences with you? To give you a look behind the real reason we all blog and attend blogging conference – to make real life connections. We tend to hide behind our computers all day (or night) and forget that these are real people with real families and real stories. While there are lots of lessons we learn that make use better bloggers I think the real value is making those real connections in life. 1. I want to thank Sommer Poquette of Green and Clean Mom for encouraging me to register. She told me that it’s the one conference she will go to every year because she gets so much out of it. She’s totally right! Only having BlogHer to compare it to I know my experience may be different than some but wow – I’m fully charged, inspired, and ready to go! To be honest with you all (and no surprise to my IRL friends) I am NOT the business savvy momma I should be. I understand how things work – I have great ideas – I know what it takes to make a little money from this here blog – but I’m in no way a savvy business woman. But that doesn’t mean that I’m naive either!! Sommer on the other hand has her ducks in order and has a very savvy quality about her that I admire – as do SO many of the other 650+ momma’s and daddy’s who attended Blissdom this year. You all give me the confidence I need to really strive to treat this like a business and not just a hobby. 2. Special shout out to my hubby for having faith in me and for allowing me to follow my dreams to see where they take me. You really are a rockstar kinda daddy and you never complain (not loudly at least) when I decide to interrupt our daily routine. 3. My partner in crime – Mrs. Kelly Wels will you please stand up! When two great minds come together things get dangerous and I want to thank you for listening to my wild and crazy ideas. We have a lot to learn from one another and if we ever fully implement any of our ideas the world won’t know what hit them. Thanks so much for sneaking away from your family for a few days and letting me show you how to use your iPhone! If you don’t already follow Kelly’s blog you can find her at www.kellywels.com, @KellyWels, and www.facebook.com/kellywels and if you are really lucky you might just win some free cloth diapers!! 4. Wisdom Workshops are TOTALLY worth the added expense. Not only did I learn SO much on Wednesday (probably more than on Thur/Fri combined) I also made a new friend while sitting on the floor in the back corner of the room. Thanks @TheSamiCone for saying “Hi” to me and sharing our little corner of the room. During the workshops I learned a LOT about SEO (Search Engine Optimization) and branding. While I know we only touched on some of the big topics my notes from these sessions are stellar and some of the information will be shared with my fellow bloggers when/if I find the time to write up all my posts. TIP: Learn what a meta tag is and use it on your blog to improve your SEO. Don’t forget to rename your photos too! I have a LOT to learn here – still! 5. Unlike at BlogHer if you are standing alone waiting on a friend at Blissdom someone WILL walk up to you and say “Hello!” A special thank you to @AprilKennedy of www.funkyvintagekitchen.com for making me feel welcome and not alone. Your gorgeous smile and energy radiates – and I’m glad we got to reconnect briefly over breakfast one morning and I’m now rocking an ultra hip hair accessory from your Etsy store! Can’t wait to follow your own special journey on your blog. 6. The world works in mysterious ways and puts you in the right place at the right time with people who can learn a lot from one another. Trying to find a nice quiet spot to chat over lunch Kelly and I popped into an empty classroom where several women were enjoying their lunches. We almost walked out when someone asked us to sit down at their table. The funny thing about blogging conferences is that people always ask...”so what do you blog about?” and hand you a business card. People want to connect with you. The first lady was Laryssa from www.heaveninthehome.com and the second lady was Katie Kimball (AKA @KitchenStew). It’s always funny to see people’s responses when you say...”I write about cloth diapers!” Surprisingly both ladies looked excited to be sitting with us! Laryssa tried and used FuzziBunz on her youngest child and Katie announced to us that she is expecting and is considering cloth!! <<And yes, both Kelly and I lighted up with the opportunity to chat about cloth!>> I had no idea that Katie was also part of a bigger blog and team of bloggers who collaborate on www.SimpleLivingMedia.com. Katie was a panelist later in the week where yet another idea was born inside my head which I’ll reveal at a later date! I’m totally blessed to have met you both! Keep inspiring the world ladies! 7. Did I mention the greenies yet? While the tribe structure of Blissdom was a little smaller it also opened up a different tribe of bloggers that I’ve never really read – the frugal bloggers! Many of these ladies are actually very eco-minded and would fall into the green blogger category as well as the frugal category (if we were placing ourselves in specific groups – which we really don’t need to do). Anyways – because of this over lap I met up with some old BlogHer friends (@CondoBlues, @phdinparenting, @thesoftlanding, and @practicallygrn) but I also made some new friends @donielle, and @nicoleakagidget (also @simple_organic part of the www.simplelivingmedia.com group with @KitchenStew). And how could I leave out the sweet @BeckyJWebb who hunted me down to say hello! Becky works closely with Rockin’ Green Soap with whom all us cloth diapering mama’s know and love! It really is a small world and there are 7 degrees of seperation!!! You ladies are all fabulous and I’m so glad that we can call each other bloggy friends! 8. I had two unusual conversations that really touched my heart. They both happened on the last day and really helped me to ‘see’ the way others view the world. Sometimes as a blogger we get very caught up in our own lives and our own circumstances that we tend to (unintentionally) overlook others. The first conversation was with Kate who happens to be the Media Relations Associate for the Cinncinnati Children’s Hospital. The first thing that I noticed about Kate was that she looked and sounded like my cousin who is also from Ohio. We then did the exchange of cards and introductions and began to talk about what….cloth diapers again! Yes, everyone seems to have a story all their own…at least anyone who has children. Kate mentioned how she had tried cloth diapering for the first few months before going back to work but just didn’t have the time to continue. Instead of giving her advice or questioning her parenting and values I listened to her…really listened to what she was saying. (For me I like to talk so listening is a challenge sometimes.) Anyways Kate’s story is similar to what we all experience as new moms – lack of sleep, lack of support, and LOTS of learning as you go. I asked her if there was one particular part of diapering that was more challenging – what would have made her experience more positive? She explained that she actually loved the diapers and didn’t have any problems – but that she just didn’t have the time. Here’s the amazing part of the story though…even though she didn’t continue to cloth diaper she REALLY wanted to succeed at breastfeeding. Her little one wouldn’t latch properly and she was always in pain but she was determined to provide her baby with breastmilk. This was so important to her that she PUMPED EXCLUSIVELY for 8 months because her baby wouldn’t latch. She was ready to give up but pumping worked for her. I didn’t provide her with tips on how to latch or what she could have done differently – instead I listened to her story. She was tired of everyone grabbing her breasts and trying to help that she chose to pump instead FOR 8 MONTHS!!! While I’m sure in her mind she felt like she was failing – she was actually choosing to spend her time providing breastmilk to her baby (taking twice as long as traditional breastfeeding) over having the time to wash an extra load of clothes every 2-3 days. This made her happy and it WORKED FOR HER! Instead of what (us) mom’s typically do (which in turn sends out “I’m better than you signals.”) I listened to all of her story and found out why the diapering didn’t work for her and listened to the challenges she had to overcome to raise her child the way she dreamed she could. It was a good reminder for me that I should listen more and accept that all parents find out what works best for them. We’re not in a competition with other parents – instead we should be there to support one another. Anyways – I learned more from Kate but I won’t share all of our story here since some of it is rather personal. 9. Again on the last day I walked up on a conversation that was already in progress and decided to listen. I was trying to meet up with a BlogHer friend @Chirky (Jess) the entire trip <more on that story later but there was a lot of ups and downs – literally!> and finally found her after lunch one day with time to kill. She was having a conversation with Denene Milner (@MyBrownBaby) about why more white parents don’t attend traditional black blogging conferences. I was intrigued by the conversation so I took a seat and leant my ear. Not having a ton of black friends growning up or in the area where I live currently I didn’t really understand why she was having a problem understanding this one. “Why would I want to attend a conference that is targeted for black bloggers?” I asked. So there we sat breaking down more walls and barriers that we tend to hide behind unintentionally. The most riveting part of the conversation brought it all home for me…Denene began her blogging journey to try to find answers to how to be a better parent to her children and to be more aware about the chemicals she used to treat her babies extremely curly and sensitive hair. Having very thin hair with no curl to it at all I found myself asking her questions that she had too was trying to find answers to. Her ancestors would either break the curls leaving their babies often times with very little hair OR treating the hair with chemicals to relax the curls. She was concerned about the chemicals she was putting on her children and didn’t know where to look for the answers. Being that I read a lot about BPA, lead, phthalates, parabens, SLS, and all these other toxins that are in many of the health and beauty products on the market I finally saw how we could learn from one another. We may blog about different topics, may have different ethnic backgrounds, and may not understand the challenges that each other face BUT we are missing out on the opportunity to learn from one another. I’ll be honest – when I look at the demographics of my blog most of my readers (and excuse me if I’m applying labels or stereotypes) are young white females with very young children. I can actually tell a lot more about my demographics thanks to some analytics that I get but I’ll save you the details. Many of you are stay-at-home moms and many of you struggle financially. While I try to be respectful to my readers and understand that I may fall into a different demographic that many of you – I realized that I don’t write in a way that would be inviting to some demographics. It’s challenging to show both understanding and respect while being inviting and honest to myself as well. I can’t exactly write an article entitled how to treat an afro with environmentally sensitive chemicals if I don’t have the personal experience to provide my readers. This is when I could reach out to other demographics and bloggers and get guest bloggers to ask me questions that I might be able to address. A better way to write that might look like…”What chemicals in personal health and beauty products should we try to stay away from – especially when used on small children.” Anyways, I’m blessed to have encountered Denene at lunch and I look forward to collaborating on ways to continue to break down these walls and openly share our concerns and ideas as parents. *And please excuse me if I over simplified our conversation! 10. I’ve written way too much for one evening and have exceeded my normal 500-700 word limit – if you are still reading you are a rock star! Thanks! It really all comes back to some basic principles that we can all incorporate better in our lives – be vulnerable, be honest, be real and you too can find your Bliss! Eco-Confessionals & Mommy Guilt Finding My Bliss at Blissdom11 Cloth Diapers, #FlatsChallenge, Potty Training, Shari Criso, and a hand washing meltdown! The Eco Chic interviewed on My Baby Experts by Shari Criso (5/24/11) What Makes You #HauteGreen? Hey there! It was such a pleasure to meet you at Blissdom and especially to connect and, as you said in your piece, tear down those walls. I think that we all have something to learn from one another, and it’s only when we let down our guard and open our minds that we can start to see the benefits and beauty of different. I do think it would be weird for you to write a piece on great products for African American children’s hair on your blog, which has a mostly white audience. BUT these are discussions moms of children of color want to have on theirs, and if you have that expertise—the info on what chemicals are just plain bad for babies and probably horrible for curly, sensitive hair—then a great way to tear down the color walls is to share that info on a blog with a largely black audience. You win by inviting that audience to your blog to see what else you have to say about better protecting and respecting the environment (and ourselves!) and we win by being actively engaged by a site with valuable information. It really isn’t a revolutionary concept, but sometimes, we tend to treat it as such. I love that you walked away with food for thought. I love, too, that I got to meet you and see your beautiful site and think up ways to exchange this valuable info. And I think you’re pretty awesome, too! It sounds like BlissDom was a thought-provoking, idea-generating conference for you. I love hearing how these blogging conferences impact attendees! Yay! I hope more people who are back and forth about conferences read this. The one on ones the personal interaction — they are so vital and moving. Sounds like an amazing experience… wish I had been able to attend. I’ve been wanting to for years! I’m going to miss out on BlogHer this year too because my son starts Kindergarten that Monday. I’m thinking BlissDom is going to have to be the event I budget for instead. Calley, I enjoyed meeting you and I was so glad to get a chance to meet up again and chat a little more with you and Kelly. I have to admit, I was a tad nervous going up and saying ‘hi’ to a stranger but so glad that I did. I loved this blog post. I read all the way through. 🙂 I loved reading about the stories you listened to. I’m kind of a chatter too. Thanks of reminding me to listen more. I met some amazing women last week and wish I had had more time to meet even more. Glad you had a fabulous time. Let me know if you are heading to BlogHer again this year! !